Fantastic value bed and mattress set. The Barcelona low foot end single bed suits children's and guest bedrooms. 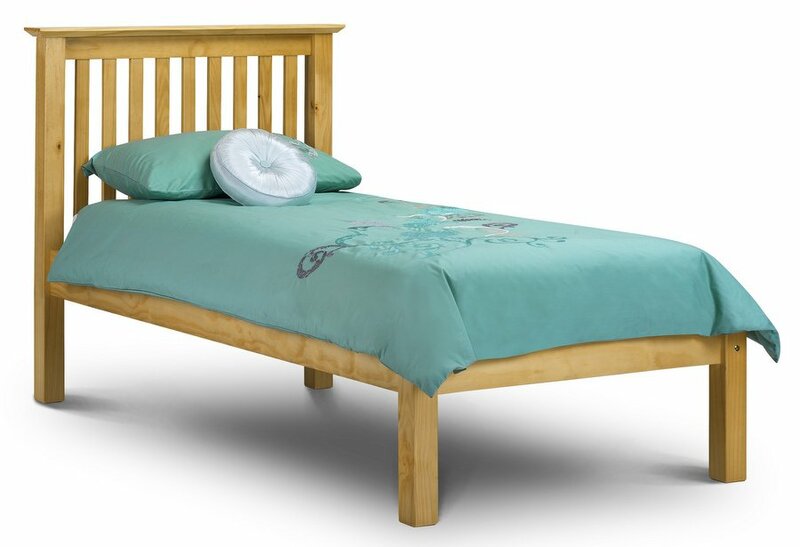 Robust frame with a shaker style slatted headboard and low foot end. Constructed from solid pine with a slatted base. 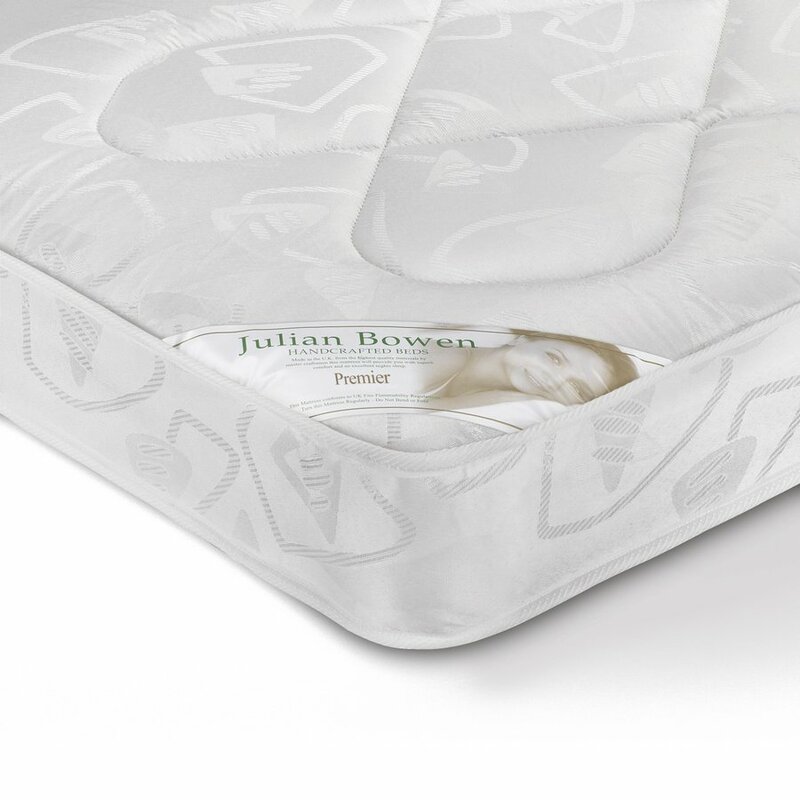 The Premier mattress is 18cm deep, sprung coil with a damask cover and of medium firmness. Produced in the UK to all relevant fire safety regulations. 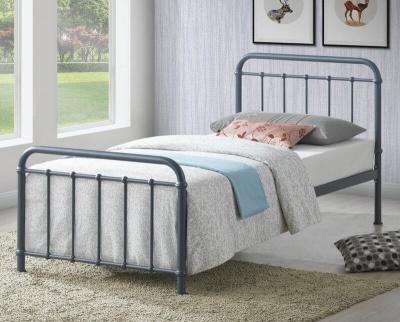 Ideal for children's and guest bedrooms. Bed: H110 D107 L209 cm. Mattress: H18 W91.5 L190 cm.